2018 Holmes DTU - With, Standard 20K Winch. 14 FXN Wireless. 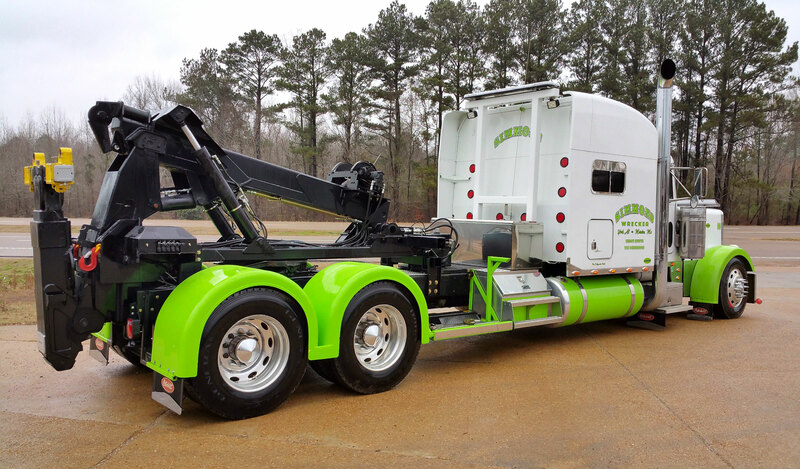 The Holmes DTU (Detachable Towing Unit) has been re-designed to decrease rear overhang, increase front axle weight, and offer better towability. With repositioned lift cylinders, the DTU also provides superior underlift height and further improved center of gravity and weight transfer. 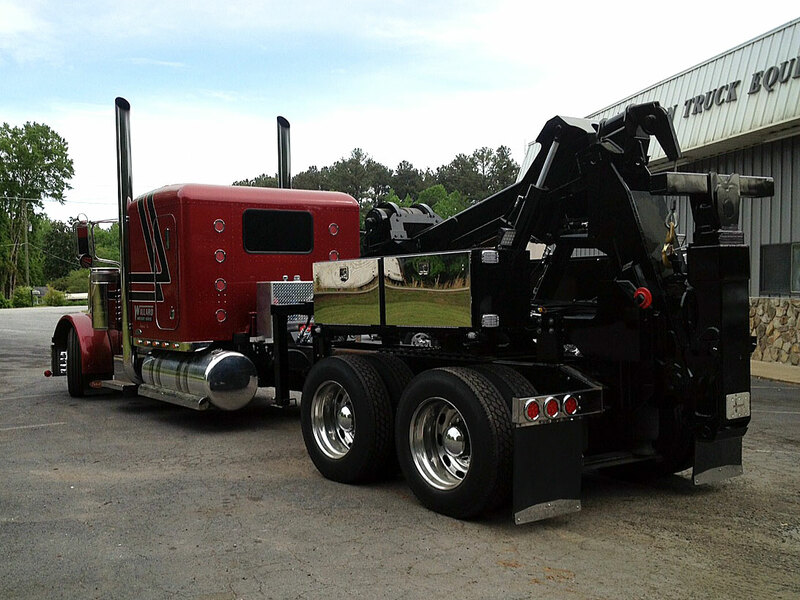 The unit comes standard with a 20,000 lb planetary winch, 175’ of 9/16” wire rope and front legs that allow the unit to be easily removed in a matter of minutes so your truck can be multi-functional for both towing and pulling trailers. The DTU is designed to secure to your truck using a front lock-down bracket and your Fifth Wheel Plate. The power for the unit is provided by an optional wet line kit, with quick connect couplers, which is installed on your truck. Other popular options include a 25,000 lb planetary winch, tool boxes, and lanyard controls; all of which are available from your local Holmes distributor. Lift Capacity Retracted 35,000 lbs. Lift Capacity Extended 16,000 lbs.